The Asia New Zealand Foundation is New Zealand’s leading non-profit authority on Asia. Largely funded by government, the Foundation is an independent charity whose mission is to equip New Zealanders to thrive in Asia. Its six core programmes – arts, business, education, media, Leadership Network, and research and track II diplomacy – offer New Zealanders the opportunity to travel to Asia and experience first-hand its culture, dynamism and opportunities. The Foundation is proud to be a sponsor and the founding partner of the Auckland Diwali Festival. Harcourts real estate group is proud to be one of the major partners for the Auckland Diwali Festival. Harcourts, New Zealand's largest, Most Trusted real estate group, is proudly multi-cultural, represented by 2,500 sales consultants in New Zealand from diverse backgrounds. We believe in celebrating diversity and bringing people together, it's at the core of our Harcourts value of "People First" and it's why this partnership is so important to us. ASB Bank is a leading provider of integrated financial services in New Zealand including retail, business and rural banking, funds management and insurance. ASB has supported local communities across New Zealand for more than 166 years. We are proud to be a sponsor of the 2018 Diwali Festival. Come and see us over the weekend and be part of the exciting celebrations. Celebrate Diwali in colour with Resene! Resene is delighted to be returning to the Auckland Diwali Festival with another opportunity for you to get creative and decorating with the Diwali colour palette and much more. With the assistance of Asia New Zealand Foundation, Resene has designed a Diwali paint colour palette to help you bring the colours of Diwali to life. Visit Resene at Diwali, and paint a heart in your favourite Resene Diwali colour. Everyone can take part, adults and children. Happy Diwali. Radio Tarana is a proud sponsor of Auckland Diwali Festival 2018. With more than 20 years of broadcasting experience and 74,600 listeners nationwide, Radio Tarana is the heart of the Kiwi Indian community with its trusted source of information and entertainment. Our sponsorship of the Auckland Diwali Festival is another opportunity for us to showcase and celebrate Indian culture while engaging with our audience. Our association with the event has been since its inception and we are proud to support this annual iconic Auckland event. Indian Weekender is New Zealand's largest Indian media house, is the only-weekly English language Kiwi-Indian publication distributed free every Friday. This highly engrossing magazine connects and engages with the readers from the Indian sub-continent through latest updates, news, views, entertainment and features. The publication has become a leader in the Indian community with its highly-engaging content and social media platforms. Indian Weekender's Association with Auckland Diwali started in 2013 with Speaker's Series. In 2016, they launched Indian Weekender Ms & Mr Diwali pageant- a fusion of culture and modernity. 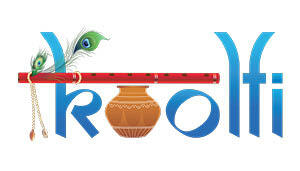 After receiving a great response from the audience, they are bringing the contest back this year on a much bigger scale. 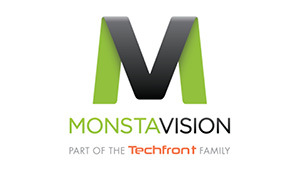 918 More FM is your station for local events! More FM has todays best music mix, Si and Gary in the morning and Jase and JJ driving you home week days! Mithai has been satisfying kiwi taste buds with the flavour’s of Rajasthan for many years. We specialise in Indian 'Rajasthani' sweets, snacks and food and are completely vegetarian. Visit our Facebook page or call 0800 MITHAI. Vodafone is excited to continue to support and be part of the Auckland Diwali Festival. India Tourism Sydney has participated in this event for the last 14 years in order to create the awareness about Incredible India, showcasing as a preferred tourist destination amongst New Zealanders. Visit our Facebook page. Koolfi, handcrafted in New Zealand the old fashioned way, is an authentic Indian dessert or type of ice cream made from a mixture of dense milk (concentrated by boiling away water in it) flavoured with fruits, nuts and/or spices, then poured in cones before being immersed and vigorously shaken in an earthen or metal pot which is filled with ice slurry. The International Bollywood dance spectacular, The Merchants of Bollywood, comes to The Civic stage this Diwali direct from Film City Mumbai. 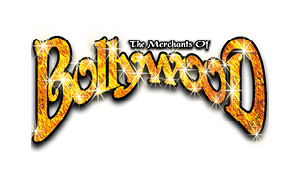 Featuring all the glitz, glamour, song, dance and romance that we know as Bollywood, The Merchants of Bollywood has been enjoyed by more than 3 million people worldwide with three sold-out London West End seasons. Swirling colours in 1200 costumes, 2500 pieces of jewellery and high-energy music will excite the senses in this lavish new production featuring all the smash hit songs from the biggest Bollywood blockbusters. Performers sent by the Indian Council for Cultural Relations (ICCR) have been a highlight of the Auckland Diwali Festival of Lights since it began in 2002. This year the ICCR is treating Auckland audiences to one of Indian’s most vibrant dance traditions in the form of the Kalika Kala Kendra lavani dance troupe from Maharashtra state. Happy Diwali! The CAB is the centrepiece of Civic Quarter in the cultural heart of Auckland. The CAB, formerly the Civic Administration Building is being completely restored by Love & Co. the most awarded developer in New Zealand. A 10% deposit will secure you one of these 1 – 3 bedroom freehold residences. There is even a stunning Penthouse featuring a huge sky garden. Within its vibrant laneways there will be a boutique supermarket, a luxury hotel, artisan food offerings, and contemporary dining. All only be footsteps away from the new central rail station.